Ezard opened in 1999 at the spacious basement level of the Adelphi Hotel and owned by renowned chef Teage Ezard. It's a two-hatted restaurant and the menu takes is inspired by Asian cuisines. 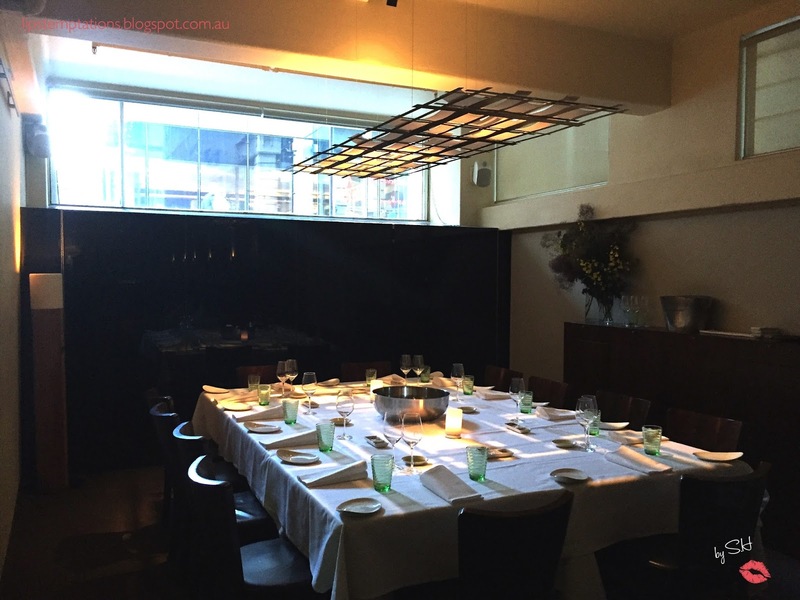 They offer both ala carte, 4 course degustation ($80) and 8 course degustation ($165) excluding wines. On lunch time they also offer lunch menu. 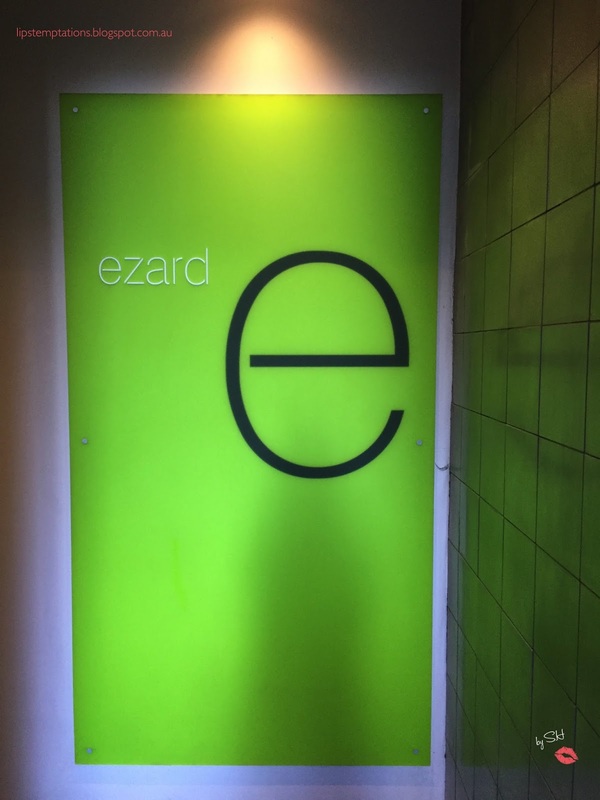 The restaurant was clean, minimalistic, modern with white line and splash of bright green. 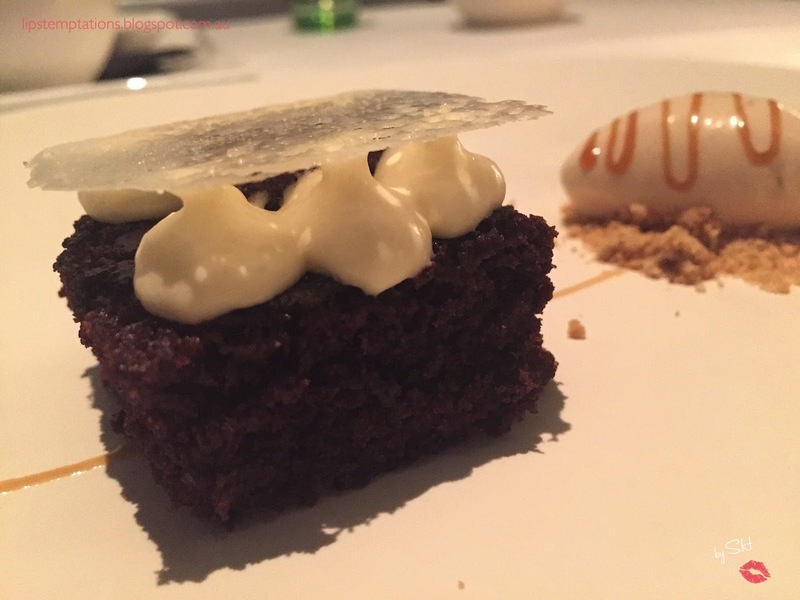 On Friday and Saturday night, the choices are limited to 4 course degustation, 8 course degustation and 3 course ala carte. For the 3 course ala carte ($106) you are allowed to pick anything from the menu such as 1 main 2 desserts or the normal 1 appetisers, 1 main and 1 dessert or basically anything you like as long as it's 3 course. I have been to Ezard before, I really enjoy my past experience and it became one of my favourite fine dining restaurant in Melbourne. For my birthday this year, I decided to relive the experience. 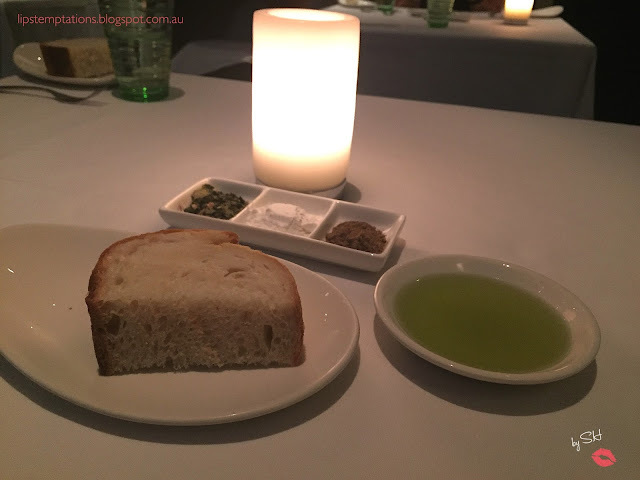 One of the things I remembered about Ezard is their bread and condiments. It was szcheuan pepper, rock sugar salt and flakes nori dashi with garlic infused olive oil. 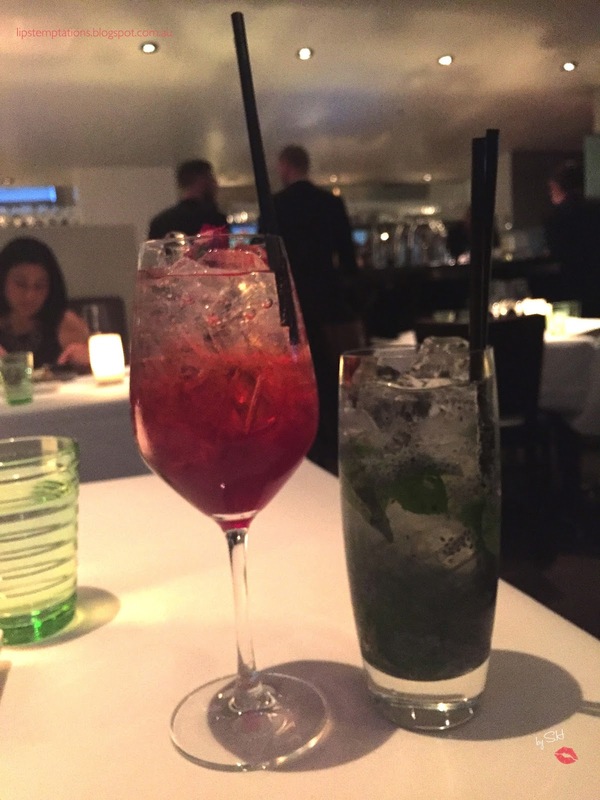 While waiting I ordered some drinks. 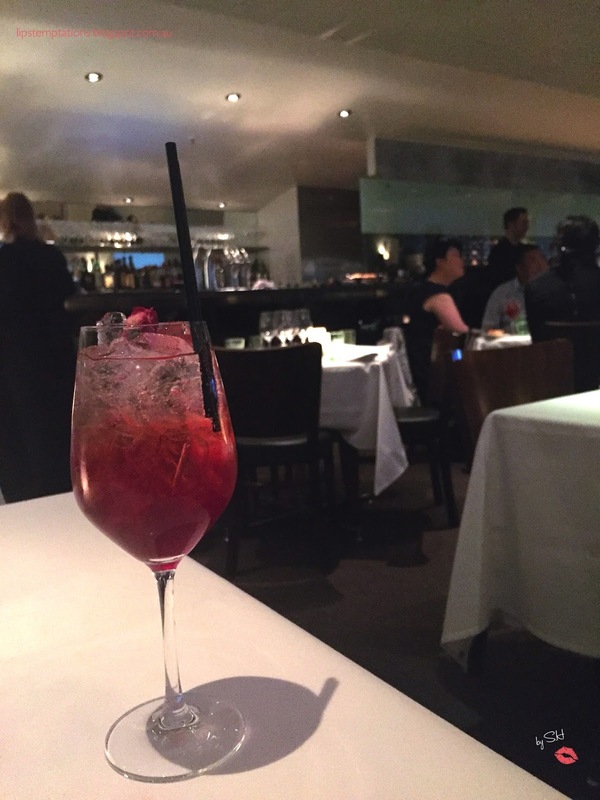 The rise of rose - hibiscus, rose, strawberry, fresh lime ($12). 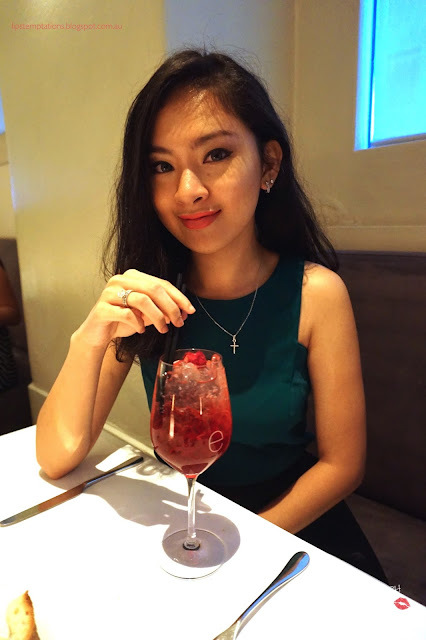 It was light, subtle and sweet, somehow taste like water infused rose and strawberry. 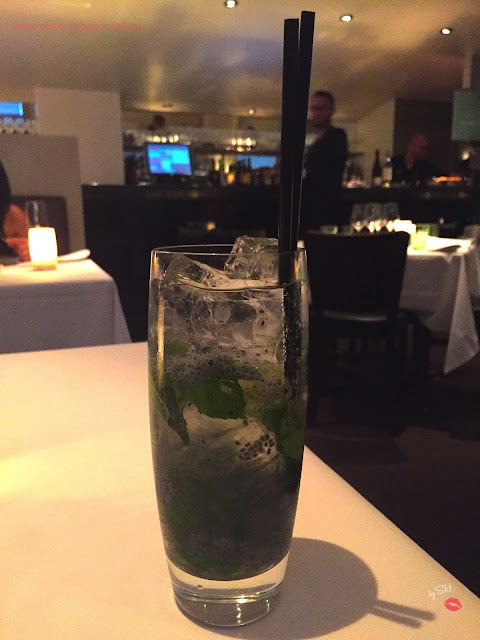 Basil and coconut mojito (fresh lime, mint, coconut water, basil seed ($12). Personally, I like this more than the rise of rose. It was refreshing, tropical, sweet and sour, perfectly balanced. Complimentary Kingfish sashimi with yoghurt. It was a delicious start, it's fresh, light and beautifully prepared. I decided to go for 3 course meal from the ala carte menu. 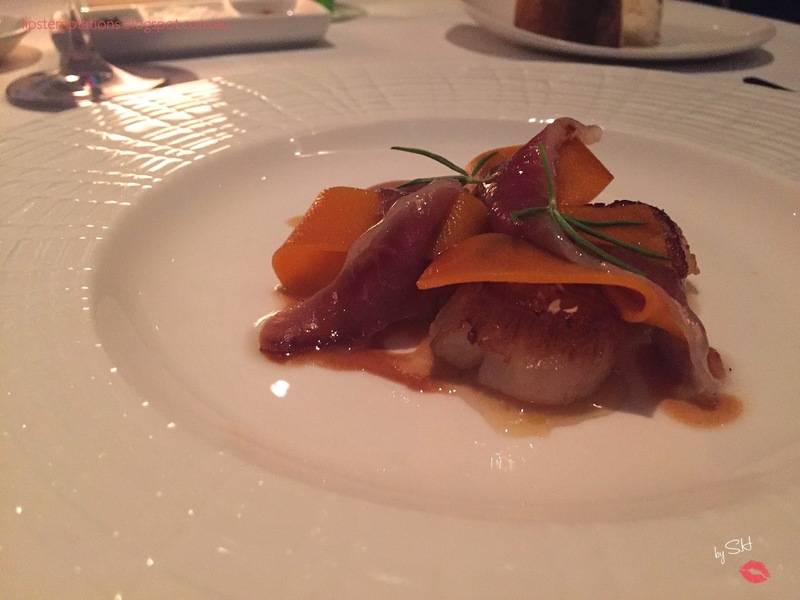 The first course was Seared scallops, spiced pumpkin puree cumin caramel, pomegranate, house duck prosciutto. Seared scallop is one of my favourite food at all times and this one is cooked perfectly and the rest of the ingredients works very well each other. 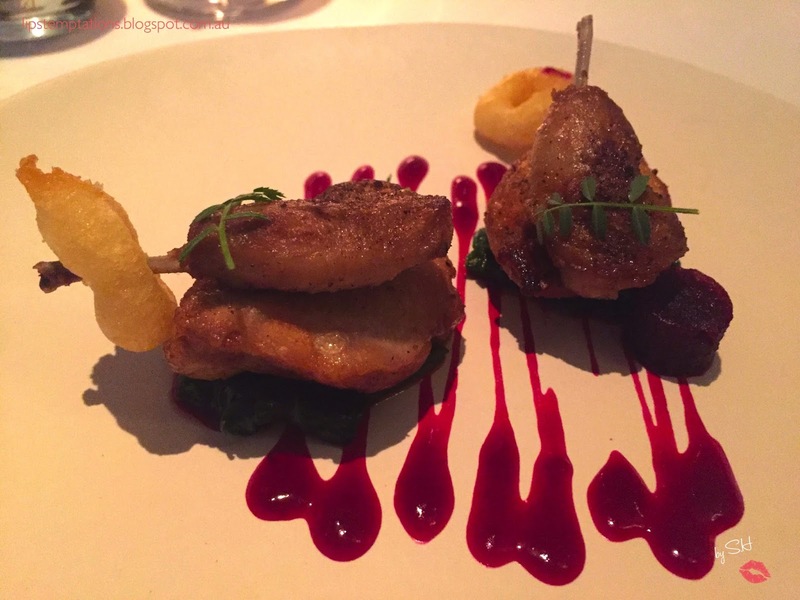 Spiced quail, wilted greens, beetroot, cocoa, crisp onion rings, smoked beetroot sauce. The quail was tender but some of the cut especially the breast was lack of seasoning even though the rest of the ingredients on the plate taste good. 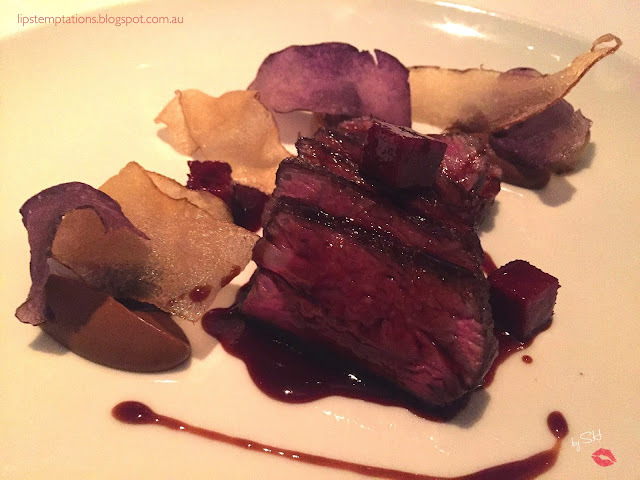 Eight score sher wagyu beef, crisp potatoes, caramelised cauliflower, smoked ox tongue, pepper jus (additional $20). It was very well cooked, the meat was tender. Clearly the meat is high quality but towards the end, I founded the sauce is too over powering for the meat. The sauce was rich, thick, a little bit sour but nice. For a meat as beautiful as this, I would like to taste the real meat flavour as much as possible. 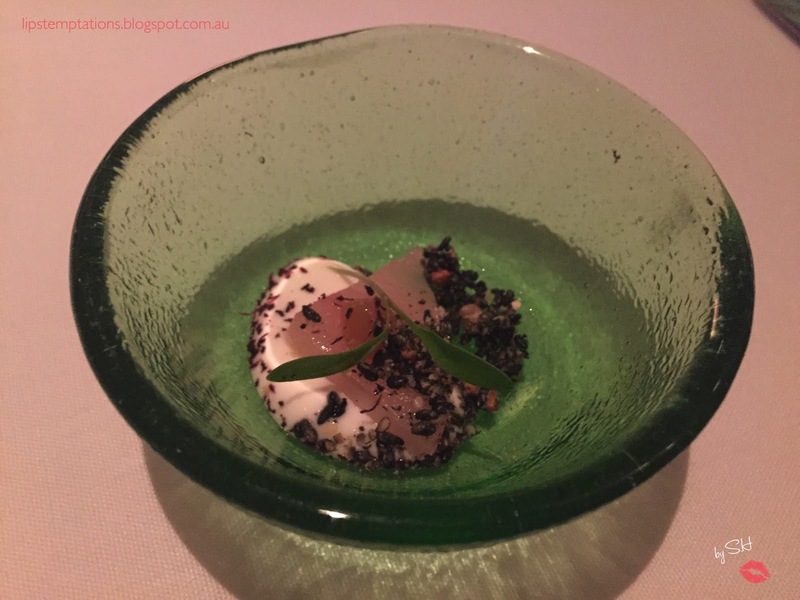 My partner decided to ordered the 4 course degustation since we have limited time on table and unable to order the 8 course degustation meal. They are pretty flexible with the menu, you are allowed to swap something you don't like or allergies. 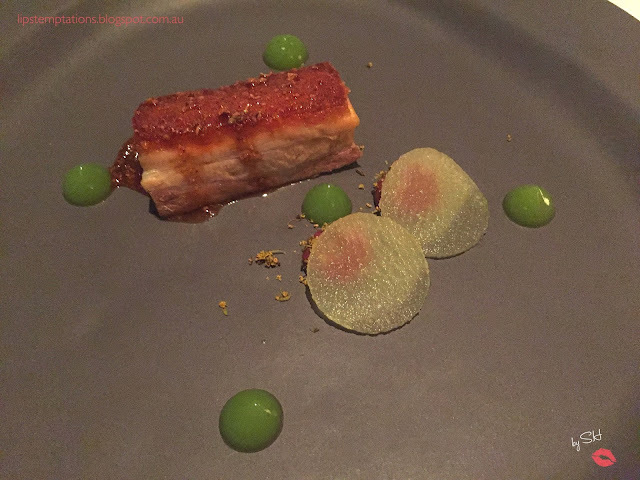 The first course was suppose to be the cured swordfish but he swap it to twice cooked pork belly, mustard glaze, black pudding, apple, fennel pollen. It was super crispy, succulent and prepared really well. It was no surprise that apple worked well with pork belly. 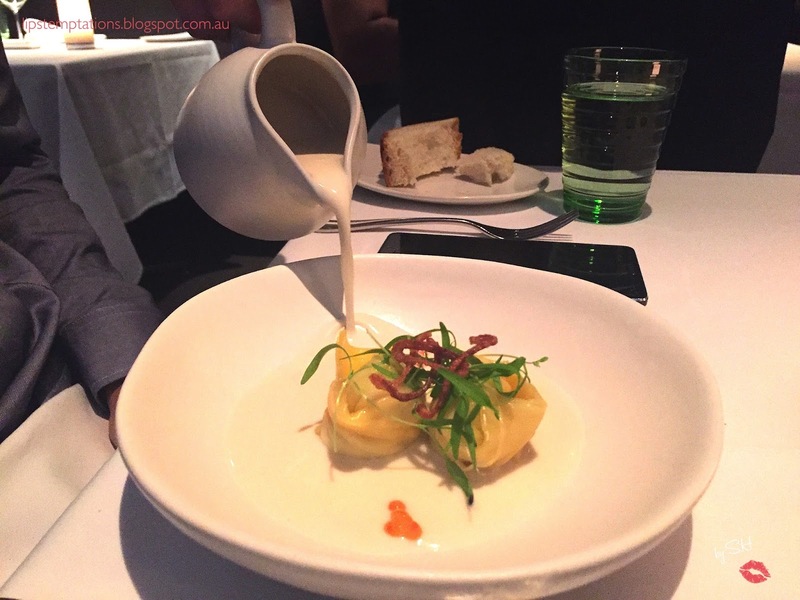 Steamed spanner crab dumpling with yarra valley salmon roe, chervil cress, coconut tom kha. The coconut tom kha was aromatic mixed perfectly with the salty salmon roe as well as the generously filled dumplings. 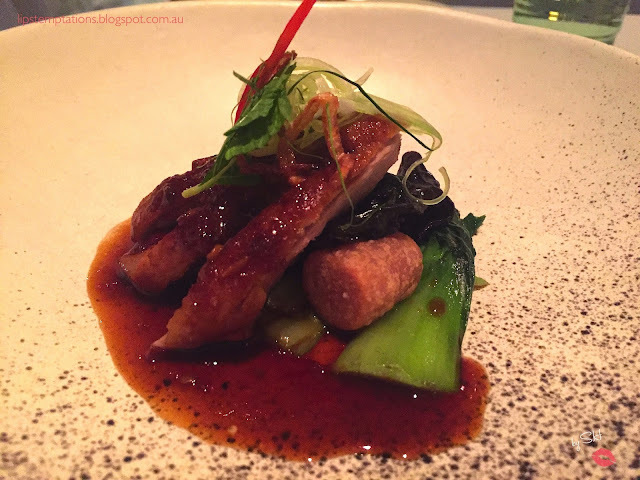 Chinese style duck breast, taro dumplings, sichuan peppered yellow bean dressing, asian herb salad. The duck breast was beautifully cooked with a pink blush as it's proved. It was tender but I wish the skin was crispy. Surprisingly, the taro dumplings was pretty smooth and tasty. Dark coffee cocoa cake, white coffee sabayone, sable, soy caramel, toasted milk ice cream. Honestly, I did enjoy this dish as much as I like. The cake was too rich and intense for my taste even though they are trying to balanced it out with the ice cream. 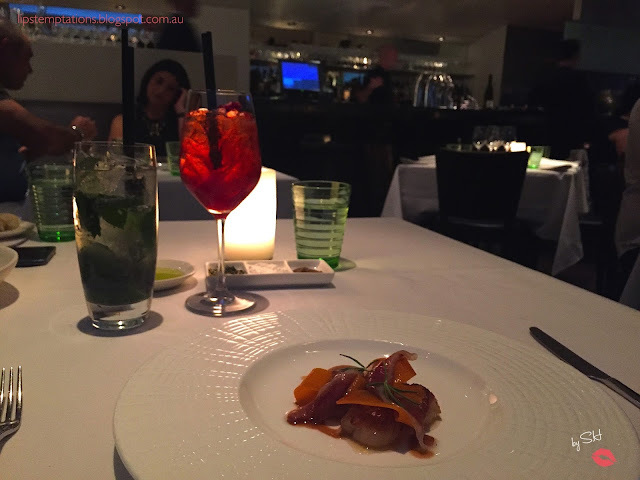 Complimentary platter from Ezard to accompany the tea we ordered. 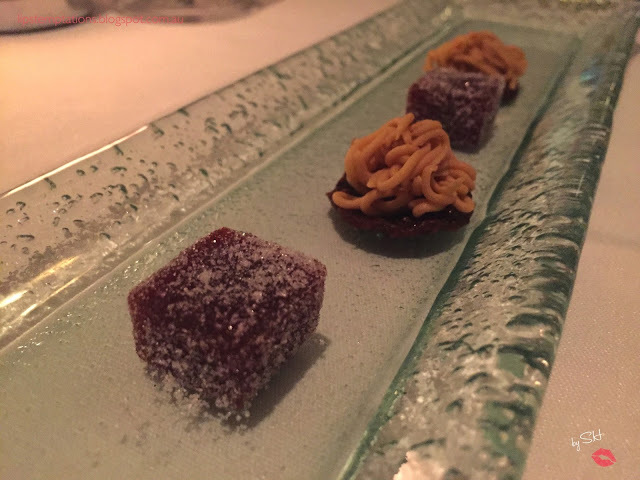 It's a fruit cube and some kind small crunchy biscuit which I like a lot. 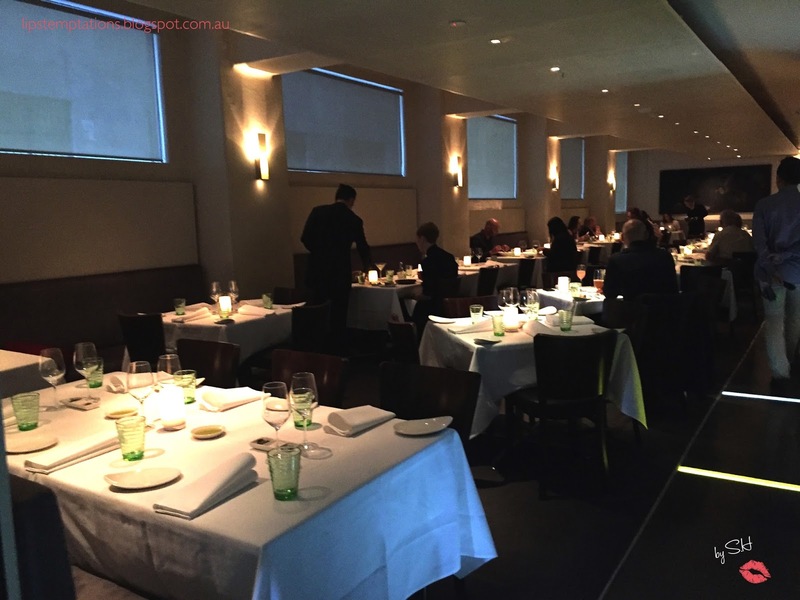 The table service was beautifully trained, they were knowledgeable, accommodating, friendly and very attentive. 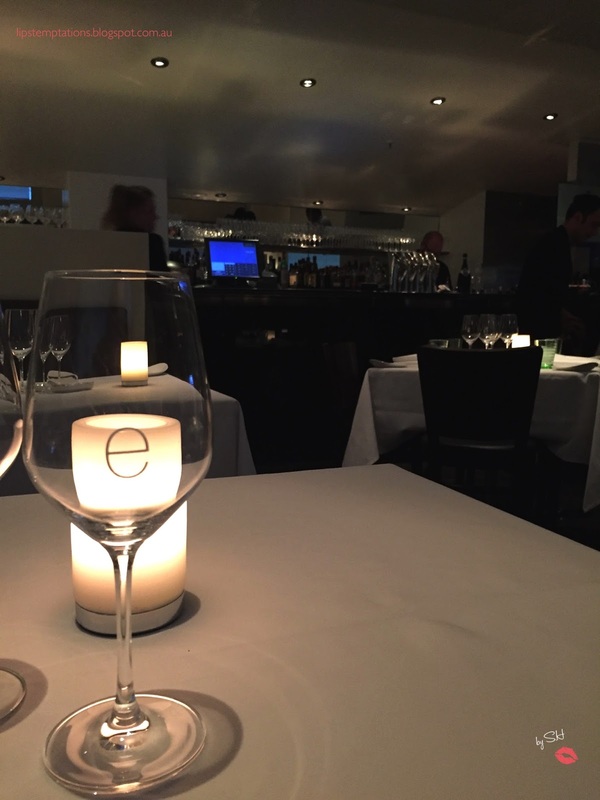 Overall, it was a satisfying birthday dinner and this would not be the last time I'll be visiting Ezard.